LG may be gearing up to enter the CPU market, with an initial line of chips that could be unveiled during CES 2013. 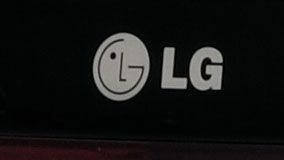 Citing anonymous LG officials, The Korea Times reported that LG is stepping up in-house chip production for its devices, starting with CPUs for its web capable smart TVs. LG's first chip is said to be called the H13, where the H stands for home entertainment and the 13 indicates the chip's launch year. While the chips will carry LG's name, they are said to be produced by Taiwan Semiconductor Manufacturing Company (TSMC), which will make the parts using its 28 nanometer manufacturing process. LG's move to produce in-house CPUs will make the Korean company more independent when it comes to the parts in its products. LG began its move toward CPU independence last year when it entered a licensing agreement allowing it to produce chips based on ARM designs. The company's plans reportedly also extend to eventually making its own chips for smartphones, to use in its own mobile devices as well as sell to other OEMs. It's a path similar to that of Samsung, which has made a good deal of business through selling CPUs to Apple, among other companies. That is, until relations between the two companies soured. Now Apple may also move toward in-house chips through TSMC for future devices. As more companies make the shift to in-house CPU manufacturing, 2013 could become an interesting year for traditional chip makers like Broadcom and ARM.